The Fill Customer Order Reminders screen displays open customer orders that can be filled or partially filled with your available (including just received) item quantities. When you receive backorder items on a receiving voucher, Point of Sale will alert you that there are customer orders pending for the received items. Click on I Want To, select Make A Customer Order, and select Layaway.Enter the items either by using the drop down or scanning. After ringing up all the items, either select the customer in the Customer Info drop down, or enter their information at this point. Before you hit the "Yes" on the question Would you like to get the latest QuickBooks™ Point of Sale 18 revision, read this article. 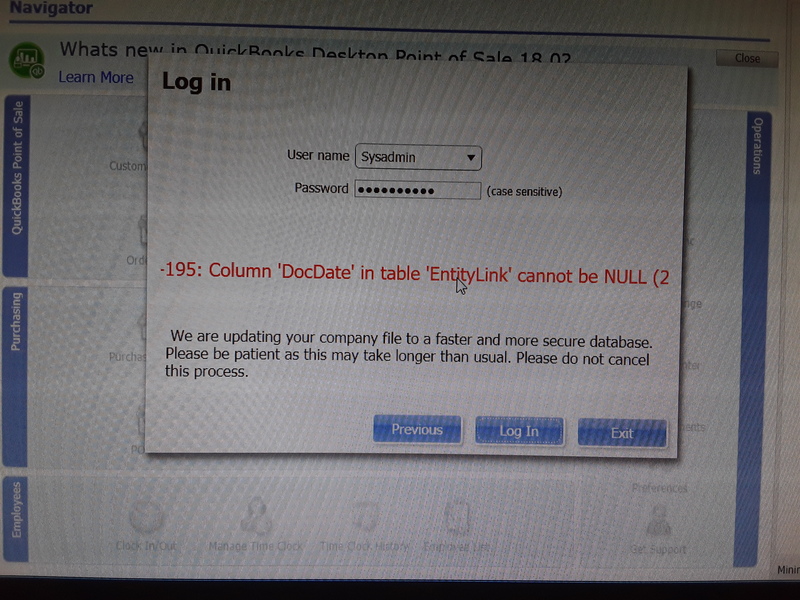 You may be destroying your QuickBooks™ Point of Sale 18.0 Data File.